Did you used to go dancing at the Floral Hall? Were you a Teddy boy or a Mod? Do you remember what it used to be like to go to the cinema or theatre in Great Yarmouth? 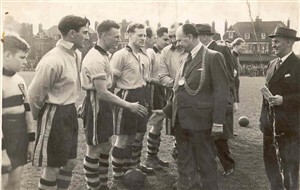 Were you a member of a local sports team? If you have any memories or photographs of these and any other leisure activities that you would like to share with us click on the comments button at the bottom of this page to add your information or click here to add your own page. 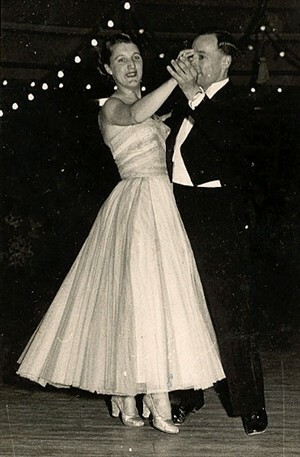 The best dances I remember at the Floral Hall were the Erie Resistor dances when the Ted Heath band often played, with singers Dennis Lotis and Lita Roza. I was in a skiffle group ( The Sundowners) and one of our biggest gigs was the publicity ball at the Floral Hall in 1958. 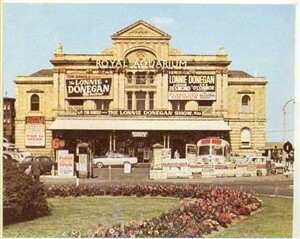 We used to pay to go swimming in the open air pool, usually bxxxxx freezing, then try to sneak into the floral hall. There always seemed to be an organist playing named Eddie Gates who was blind. However, as kids we never believed he was blind, because even if you crept up to the organ he knew you were there and hissed , "go away and sit down". We spent most of the time waving our arms at him to see if he was really blind. Most of the local schools used the pool to either teach swimming or as in my case get your 25 yard certificate. The pool had a shop, which sold hot whipped Horlicks, just what was needed after going in that freezing pool. Not that we had the money for such extravagences. often ( until i learnt of Oscar Hunter and his barrow, but thats another story). The shop also opened up to the Gorleston beach, and sold ice cream in a round block to fit on a cone. By the way any old Alderman Leech boys out there circa 1952-1956? During my lifetime I Visited many dance halls in The Nottingham and Mansfield Area of Notts And saw all of The Big bands at that time. However the most memorable was the Floral Hall and Eddie Gates with his Signature LIZA . I always thought he was a Brilliant Musician . The annual dance held by Erie Resistor at Xmas 1951 was the first time I saw Ted Heath when my girlfriend at the time worked at the Company and invited me and a fellow serviceman Tony to go to the Dance. It was brilliant but was somewhat strange at the time for when Eddie Gates played at the start and during the intermission the Floor was full of Dancers .With Ted Heath there were very few Dancing more like a concert. We danced mainly in front of the Bandstand and Ted kneeled down and asked if we had any requests. During the intermission at the tea bar to the right of the stage was a teabar etc which we had made for and to our surprise Lita Roza Dennis Lotis And Dickie Valentine came out to and we spent many enjoyable and interesting minutes talking with us . I CAN REMEMBER GOING ON MY BICYCLE FROM NEWTOWN TO THE GOOD OLD FLORAL HALL ON DARK WINTER NIGHTS THE SEE THE BAND OF THE SIXTYS WHEN THEY WOULD TURN UP IN BEAT UP VANS AND ALL YOU COULD GET DRINK WAS TEA OR COFFEE AND CHEESE ROLLS. IF YOU WANTED A BEER YOU HAD TO GET YOUR HAND STAMPED AND YOU WENT TO THE PIER HOTEL OR YOU CLIMBED THE STEPS TO THE CLIFF HOTEL BEING CAREFULL WHEN YOU WENT BACK YOU DID NOT TRIP DOWN THE STEPS, HAPPY DAY. The RAF from Hopton preferred The King William on The Quay cannot remember which Brewer it was who provided the liquid refreshment but to think it was Bullards or Lacons; which ever it was quite potent. Personally I was courting a young lady off Lady Margaret's Ave and we would walk from her home to the Floral Hall and call at The Feathers, then on to the Floral Hall for a fabulous night of dancing to EDDIE GATES. At the interval on occasions to the Pier Hotel. It is a pity there appears to be no recordings of the Orchestra and in particular the Signature Tune "Liza". On one of our trips to the Floral Hall my girlfriend's handbag was stolen but the culprit was soon apprehended and we went to the Police Station to make identification and statements. By this time it was after midnight which presented me with a problem as I was required to be back on camp by 11.59 hours. However, the Police provided us with transport to camp for me and took Jean home after'. It was a memorable journey high speed blue lights' flashing that is until the Suffolk border when they apparently had to observe the speed limit. A fond memory among many more of RAF Hopton and my service there. Some of the best memories I have is the dances at the Floral Hall in Gorleston during the late 1950's early 60's first it was rock and roll, then the twist, fantastic nights. New Year's Eve was something special, was always late for work the next day but it was worth it. I can't remember the name of the resident band but seem to remember they had a girl singer called Linda but perhaps that wasn't her name, but anyway we had some great nights dancing to the band. Hi Valerie Hogarth. With regard to your memories of dances at Floral Hall. You are right about the singer, she was Linda Taylor and I think the band may have been Maurice Share.